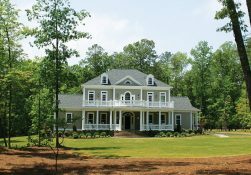 These companies possess a combined total of nearly a century of experience and have created some of the finest custom homes in the area. The collective success of these builders is rooted in an ongoing commitment to quality, innovation, and customer satisfaction. Their expertise in the industry, and attention to detail enables each of these builders to take what would be an ordinary custom home and turn it into something extraordinary. Click on a builder below for more information about them and to see images of their homes. Contact us to schedule a tour or for quick answers to your questions!